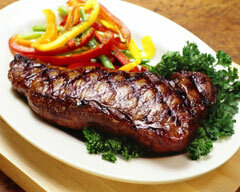 Carnivores, Boston steakhouses are for you! Sink your teeth into the best steaks, lamb, pork, and other top-quality meats in Boston – all perfectly prepared to your specifications. You’ll probably also enjoy the robust wine lists at these steakhouses. Because of the high quality of the meat (and the wine), Boston’s steakhouses tend to be pricey – but if you love perfectly aged, expertly cooked beef or succulent lamb or juicy, flavorful pork, you’ll have a memorable dinner. You’ll also discover the skills of some of the city’s best chefs. What if you prefer to avoid red meat, or are a vegetarian with a carnivore dinner companion whose stomach yearns for a steakhouse meal? You’ll be pleasantly surprised by the other options at Boston steakhouses.. Most of Boston’s steakhouses offer superb seafood as well – and most also turn out feast-worthy vegetables and other yummy options for their vegetarian diners. Your biggest challenge will be to keep your meat-loving companion from eating too much from your plate! Check out our Best Boston Steakhouses Guide to discover great options in every Boston city neighborhood. With its elegant cream, taupe, and platinum interior with golden lights reflecting in the crystal, Mooo boasts one of Boston's most romantic dining rooms - despite being a steakhouse. Appetizers, seafood, and dessert shine, but the spotlight is on the beef. Go for the Beef Wellington, Japanese Kobe beef - or just a simple steak. 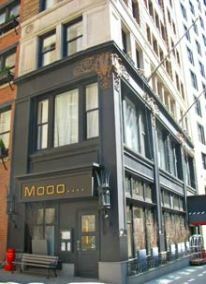 Due to its location in the XV Beacon Hotel, Mooo also serves breakfast and brunch. In fact, its proximity to the Statehouse and Financial District makes it a popular Power Breakfast spot. But you’ll come for the beef and the ambiance. Carnivores, pescavores, and pasta lovers will be happy with Davio’s creative Northern Italian cuisine and everyone will enjoy the wine list. Davio's also offers a gluten-free menu. Although you probably wouldn’t come to this Boston steakhouse just for the side dishes, they’re also really, really good . . . I especially love the grilled asparagus (the only slight problem is that once you eat asparagus grilled, you’ll never want it any other way) and their spicy sautéed escarole. When you walk into this popular steakhouse, the first thing that you may notice is: it's dark. But after your eyes adjust and you settle into a comfortable chair, you'll find that the low-light ambiance is perfect for lingering over great food, great wine, and hopefully, great conversation. You could happily make a meal just out of 2 or 3 of the succulent seafood appetizers—the caviar, the shellfish platter, the smoked Maine salmon—but who would want to pass on the dry-aged beef or fresh fish and shellfish choices on the main course menu? In fact, the beef is Capital Grille's specialty - and after your first bite, you'll understand why. 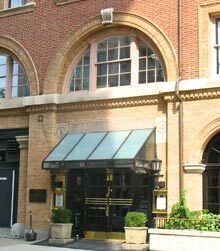 Although this well-known Boston steakhouse might not be an obvious choice for vegetarians, its numerous salad and vegetable offerings are quite delicious. If the thought of prime, all-natural, dry-aged beef makes your mouth water, this premier steak and seafood grill is for you. Basically, you can get any cut of prime beef or lamb that you fancy at this popular Boston steakhouse, cooked to your specifications. Swordfish steaks and large boiled Maine lobsters, along with a nice raw bar and seafood appetizers, hold up the seafood side of the menu. Come with a hearty appetite because portions are big! Grill 23’s famous 1,000+ selection wine list is sure to enhance your experience. This upscale Boston steakhouse and seafood restaurant offers simple preparations of top-quality beef, lamb, fish, shellfish, and chicken. You can also enjoy whole boiled lobster . . . and even choose between Maine lobster and Australian lobster. As an accompaniment, you can choose from the extensive list of American wines. And as an added bonus, you’ll have no difficulty finding the restaurant—it occupies a large stone and brick medieval-style building that locals call “The Castle” — giving you a unique dining experience. Not exclusively a steakhouse, but you’ll find superb beef in this revered local institution. Operating since the 1840s, Locke-Ober has been transformed in recent years by famed chef Lydia Shire and the extraordinary French-influenced cuisine that she introduced to the city in her previous restaurants. Gorgeous old-world ambiance. Save room for the Baked Alaska for dessert. 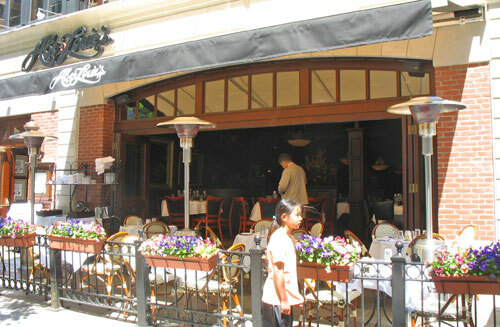 Abe and Louie’s, located near the Boston Public Library in the heart of Back Bay, is one of the most popular Boston steak restaurants because of its carefully aged prime beef and huge portions. 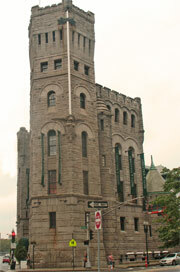 While the regular menu features various cuts of steak, a weekly menu offers specialties such as Beef Wellington and ribs. Despite the emphasis on steak, you can also choose from plenty of other options, particularly seafood. Entrees such as swordfish steaks and grilled shrimp more than hold their own with the beef. You can also choose from many different appetizers, salads, vegetables, and desserts.